Health record book cover in Beatrix Potter fabric featuring a duck. 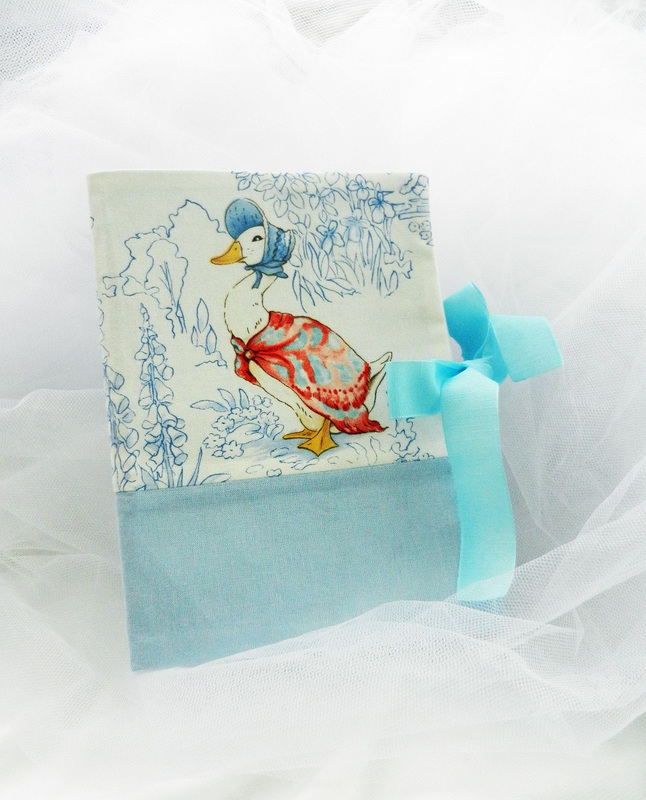 Health record book cover in Beatrix Potter in firm fabric featuring a duck. It provides a space for a record boo and health card.